Kathy Zielinski is an animator, character designer, and animation supervisor based in Los Angeles, California. 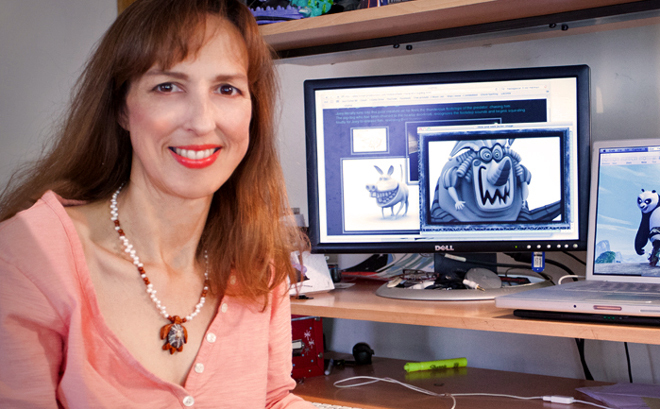 She is most well known for designing and animating characters such as Ursula in The Little Mermaid, Hexxus in FernGully: The Last Rainforest, and Jafar in Aladdin, among others. She also created the main title sequence for horror-comedy film Night of the Demons (1988). She began her career at Disney studios in 1981 straight out of California Institute of the Arts and worked on traditionally animated films The Great Mouse Detective, The Little Mermaid, Aladdin, The Rescuers Down Under, and The Hunchback of Notre Dame, as well as the CG feature Frozen. After over a decade at Disney Feature Animation, she shifted to Dreamworks Animation Studios where she continued to work on traditional animated films. In 2001, she moved over to 3D computer animation and worked on Kung Fu Panda, How to Train Your Dragon and The Croods. She also does character concept design, creates model sheets and sculpts maquettes of characters, as well as creating live-action CG animation for shows including The Flash, Super Girl, and Legends of Tomorrow. Currently, she is working as an animator for The Simpsons.